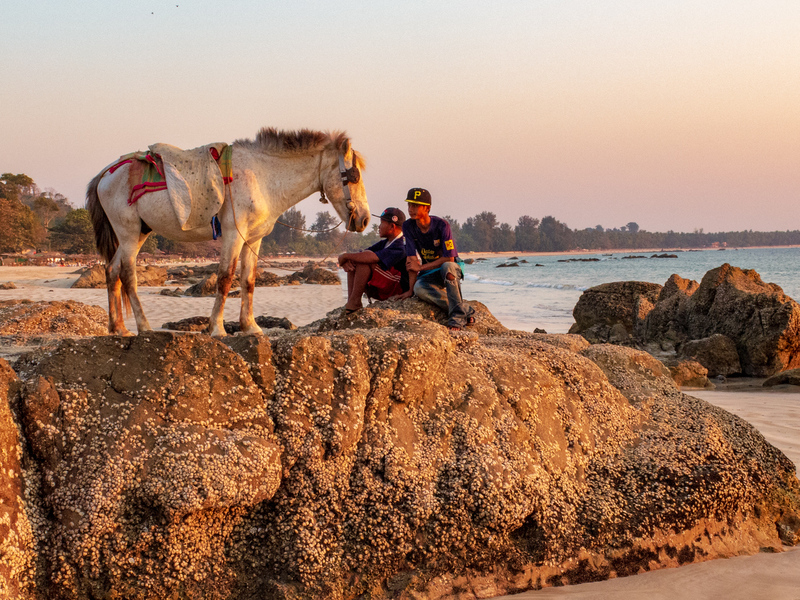 We came upon this sunset scene on Ngapali beach on the west coast of Myanmar, on the Bay of Bengal. We were fresh off of a fifty-mile trekking adventure in the mountains of central Burma and were ready to retire to the beach for a few days. We had come to Ngapali for two nights but ended up staying five and only reluctantly leaving then.